Obituary for Dorothy Jean Sollenberger | Harold M. Zimmerman And Son Funeral Home Inc.
Dorothy Jean “DJ” (McCleaf) Sollenberger, age 89, a resident of Menno Haven in Chambersburg and formerly of Greencastle, passed peacefully on Tuesday, April 9, 2019 at the Chambersburg Hospital. Born April 2, 1930 in Fairfield, PA, she was the daughter of the late E. Lance, Sr. and Rena May (Watson) McCleaf. She married her husband Clyde S. Sollenberger on September 22, 1956. He died on November 6, 2017. She was a 1948 graduate of the Messiah Academy and an alumnus of Messiah College, both of Grantham, PA. Prior to her marriage, she was secretary to the President of Messiah College, Dr. C.N. Hostetter Jr. Her last place of employment was the former Hess Medical Clinic of Shady Grove, PA, where she worked for 19 years. She was a member of the Antrim Brethren In Christ Church near Chambersburg. She served on many boards and committees of the Brethren In Christ Church. Of particular interest, she was involved in the promotion of missions. 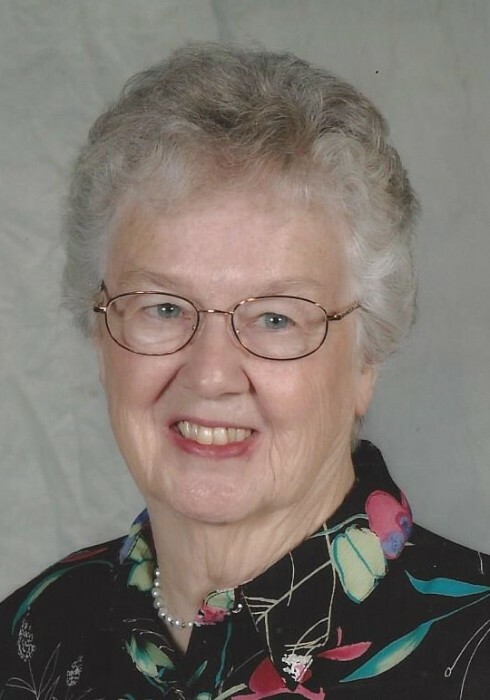 Also, for 16 years, she served on the executive committee of the Brethren In Christ Historical Society and was a volunteer for 16 years at the Waynesboro Hospital. Surviving family are one son, Bryan M. Sollenberger of London England; one daughter and son-in-law, Denise J. and David Drew Martin of Thurmont, MD; one sister Norma Jacobs of Fairfield, PA; and nine nieces and nephews. In addition to her parents, she was preceded in death by four sisters: Mae Solomon, Florence Williams, Pauline Small and Betty McCleaf; a brother Emmert L. McCleaf Jr; a nephew Barry Williams and a foster brother Leo Strausbaugh. A funeral service will be held on Tuesday April 16 at 11:00AM at the Antrim Brethren In Christ Church 24 Kauffman Rd. East Chambersburg, PA with Pastor Casey Hurst officiating. Burial will be at the Air Hill Church Cemetery near Chambersburg. The family will receive friends on Monday from 5:00 – 8:00 PM at the Harold M. Zimmerman And Son Funeral Home 45 S. Carlisle St. Greencastle. Online condolences may be expressed at www.zimmermanfh.com.